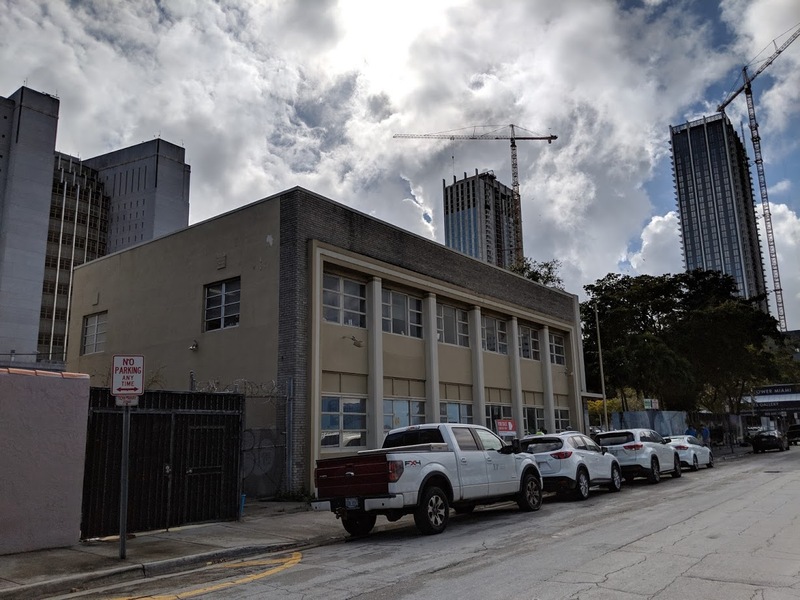 A downtown Miami building is about to be demolished. 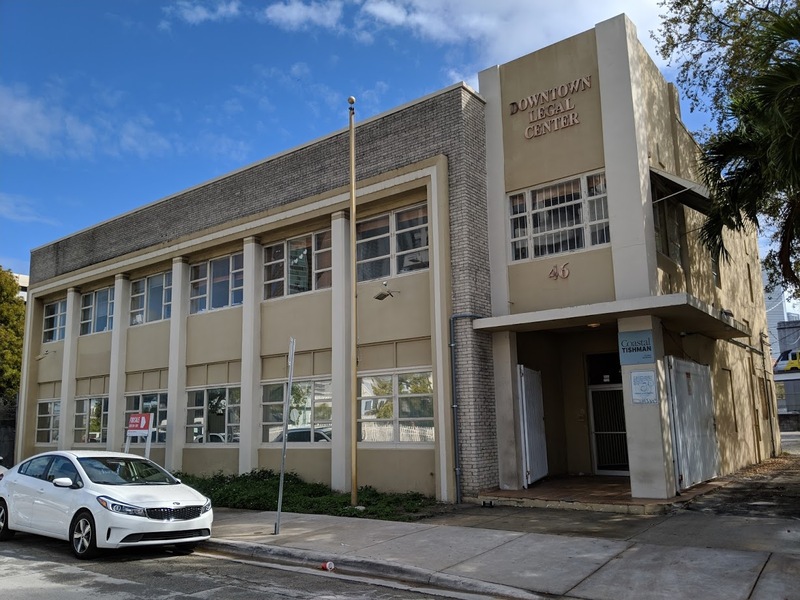 Melo Group subsidiary 6 Plaza II LLC applied for a demolition permit on April 1, city records show. The permit is for total demolition of a building at 46 Northeast 6th Street. The two-story building was completed during World War 2, in 1944. It includes 7,207 square feet of space on a 15,000 square foot lot. Next door, Turkey’s Okan Group is planning Okan Tower, which will include a Hilton hotel, condos and offices. On another adjacent property, Melo is planning the twin-tower Downtown 5th project, with twin 51-story towers that will have 1,042 apartments. Melo also owns another property on the same block, with no announced plans yet. Melo is about to start another project, meanwhile Mana has buildings that are derelict. Let’s go MELOOOOO!!!! Keep building!! Melo builds necessary housing but would like to see them focus on renting out their retail spaces to better tenants. Mixed use! Let’s go Melo.. no time to take a break. Let’s go Melo, build more ugly boxes! Yeah, that building they’re going to tear down is so beautiful. There should be law that any construction or deconstruction have to be approved by POLO. What is happening at the corner at 100 NE 3rd Ave?? It has been awful to walk past for the last few years. I noticed a city letter posted outside of the fence of a complaint. People have thrown trash over the fence. I generally lean towards preservation, but I’m glad to see this happening. Melo has a proven track record of working quickly and producing relatively affordable units. This will be a good development for that area. All three plots will have something hilt on them in the next five years. That’s how fast Melo works. Wow, it is truly a shame that the city is allowing an important historical structure such as this building to be demolished in the name of progress and modernization. Downtown should really be protected from predatory developers who only care about erasing history and bettering our city. Thankfully there is always Miami Beach for those of us who truly understand the importance of preserving functionally obsolete structures and preventing greedy developers from creating more usable spaces for residents and visitors alike. Man, I’m glad these developers are so thoughtful. Maybe if Okan Tower was replacing this I couldn’t care, but this late-Art Deco building is superior to Melo’s ugly proposed barcode box. What a shame. What? That current building is ugly. A great example of Art Deco in downtown is the old courthouse… this is not Art Deco. The courthouse is Neoclassical Revival. Out with the old, in with the parking garages. I seriously believe that the people who come on this site and constantly make comments complaining about parking/garages, bike lanes, parks, trains, and buildings on pedestals are getting paid to do it by some entity. Both of you lack serious reasoning skills. Every city tried to limit vehicle ownership and access. Cars take up tons of real estate space and that means less space for stores, restaurants, libraries and schools. Plus they pollute. Ohhh.. my bad, I forgot, Miami is just like NYC or Washington DC where taking mass transit is so convenient, you don’t need a car. Wow, Gene knows everything. By the way Gene, do you own a vehicle? Join tAnd yet the vast majority of Americans, plus the growing worldwide middle class, strongly favor vehicle ownership and access. Nobody should ever accuse city “planners” of having common sense.he discussion. Type your comment here…. It is sad that it wasn’t incorporated to the new project and it had to go? How do you incorporate an old, ugly piece of turd into a new building design? You’re the one that’s ugly, and your name prove it. Exactly. The same thing could have been done with the Everglades Hotel. Unfortunately, Miami is a city that is run by stupid, corrupt, and uncaring people, who lack the right vision for the future of the city. Or they simply just don’t care about what is left of the city’s history. Cue to questionable “Better Melo than Moishe!” remarks. Nobody thinks it’s questionable but you.